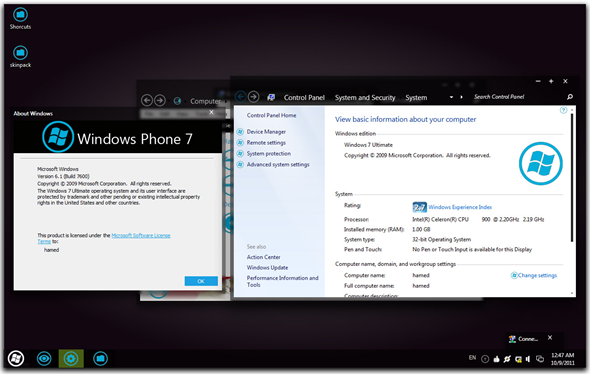 Transform Windows 7 Into Windows Phone With Mango Skin Pack – Download Now! You’re a Windows 7 user, right? You like that nice user interface, complete with all that blue glass and with all those, well, windows. More importantly, you like it because it isn’t Vista, mainly. Lets take that liking to a whole new level shall we? But wouldn’t you like it even more if it looked like one of Microsoft’s other products, perhaps one of its other operating systems? What if, and we know you’re going to love this, you could make it look just like Windows Phone 7, Microsoft’s latest attempt to try and build something resembling a real presence in the smartphone world? You’d like that, wouldn’t you? That’s where Mango Skin Pack comes in, and it’s up on Deviant Art right now for those that just love that Metro UI – and let’s be fair, who doesn’t love it? 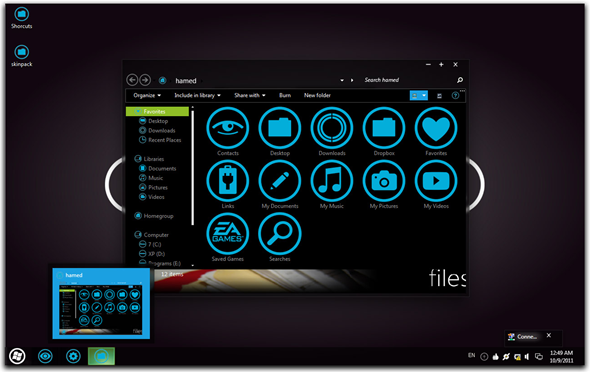 The theme comes courtesy of SkinPacks, the team that has brought numerous other Windows 7 theme packs to the platform. Over on their web site you’ll spot skins to make Windows look like Apple’s OS X, Google’s Android and just about everything in-between. We didn’t think that Microsoft did too bad of a job with Windows 7 here at Redmond Pie Towers, but it appears you guys just can’t wait to make it look like anything, so long as that isn’t Windows 7! Installation is a relatively simple affair – point your web browser at the downloadable .EXE, run it, and sit back. The installer is also automatically updated when changes have been made, so you’re always up to date with whatever changes have been made. Super simple, indeed. 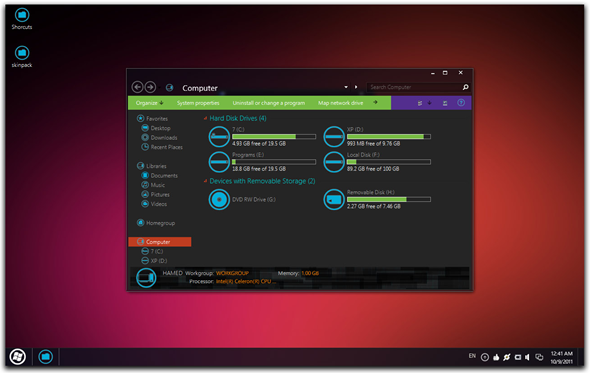 You can download the Mango Kin Pack right now for free, as well as many, many other packs for changing the way Windows 7 looks on our computer, without having to change functionality at all. 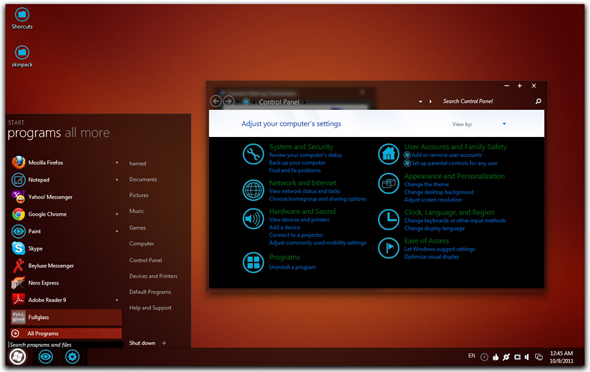 Remember, once you install these packs and the appearance changes, it is still good old Windows 7 under the hood, though whether that really is a good thing very much depends on which side of the fence you sit on! Give the Mango Skin Pack a go today along with some of the team’s other options. We particularly like the Mac OS X theme, but then, we’re Apple fans here at Redmond Pie but at the same time not partial to Windows as well, so there. For more wallpapers and themes, make sure you visit our Windows 7 Wallpapers and Windows 7 Themes Gallery.